Welcome again to Sips & Spoilers, where I write about craft beer (of which I don’t know much about) and television (of which I know slightly more.) In the interest of time, I’m going to jump straight into it. This week I tackle…Wait for it…Wait for iiiiiiiiiiiiiiiiiiiiiiitttttttt…. Ommegang has become my favorite brewery in my short time being 21. And this week’s beer is one of the finest I’ve had. 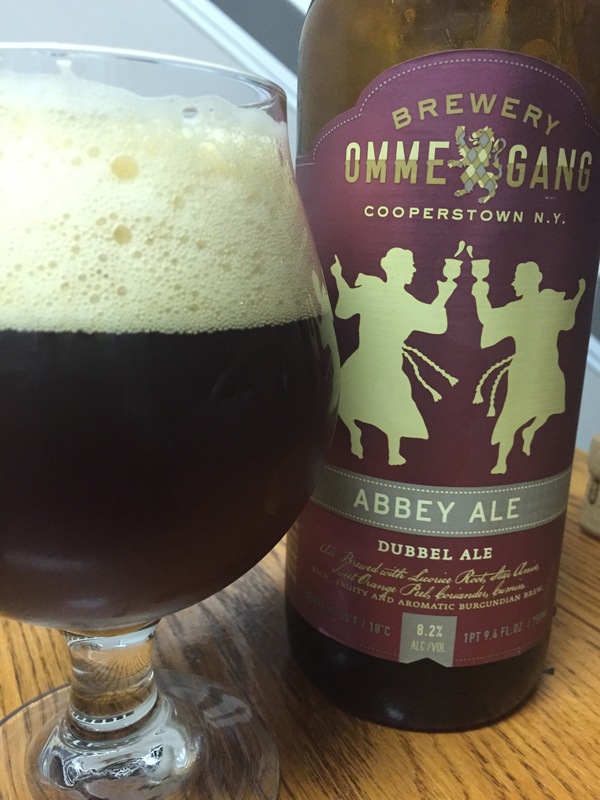 Ommegang’s Abbey Ale is a rich, strong and fruity ale with a great aroma and color. It’s strong enough to please heavy beer lovers, but it goes down and finishes smooth. In addition, the fruity tones make it palatable for non-beer drinkers. As I mentioned above, Abbey Ale is easy to love as its sweet and fruity flavors appeal to everyone. I find “Psych” to be the same way. I’ve introduced it to many of my family and friends, many of whom have different tastes in entertainment. I have yet to meet someone who didn’t find it enjoyable, at the very least. Some have even become “Psych-Os” themselves. The show’s mass appeal has a lot to do with the fact that it never delves too deeply into the dark themes in which the murder mystery genre sometimes becomes immersed. But, like the Abbey Ale, there’s a lot of hidden depth in Shawn and Gus’s lighthearted world. Much of the show is centered around the deception that Shawn has concocted over the years. It affects his relationships with family (the wonderful Corbin Bernsen plays Shawn’s father) and friends. It especially comes into play later in the series when Shawn begins dating co-worker Juliet O’Hara (the underrated Maggie Lawson.) Psych’s message doesn’t always land due to its casual feel, but the show continuously paints an ambiguous ethical line, bringing it into focus when relationships are threatened. It’s a complex formula, but it works so well that you wouldn’t even think about it unless you saw down and thought about it. In the end, what you’re left with is a highly enjoyable show and highly enjoyable beer that make for a great experience when paired. Not only are they both rewarding in their own special ways, but you can sit down and enjoy them both with a group of friends without having to worry about everyone not enjoying themselves. If that doesn’t capture the spirit of comedic television and beer, I don’t know what does.